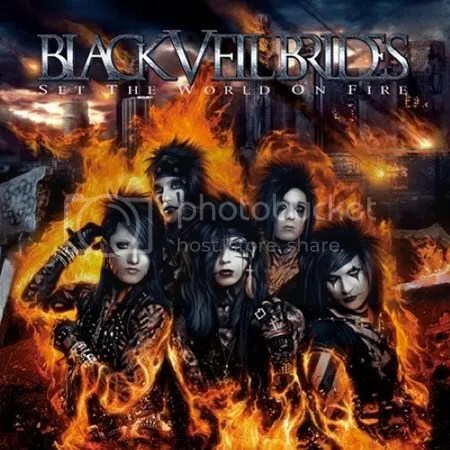 Just six months after releasing the glam/metalcore Set The World On Fire album, the Black Veil Brides are back with an iTunes exclusive EP featuring one new original song, two covers and a music video. Truthfully, I couldn’t care less about the music video to “Rebel Love Song”. That seems like it would’ve been better suited to be included as a bonus on STWOF since that’s the album the song comes from. I recently read excerpts of an interview with lead singer Andy Biersack who made it sound like BVB were looked to spread their wings beyond the metalcore scene. They don’t want to do anything fancy or “mature”, they just want to play & write fun rock songs. “More Motley Crue, less W.A.S.P.” is how Andy put it. “Coffin” will still appeal to their goth & emo Hot Topic fan-base but it’s definitely a song that shifts away from the metalcore sound into a regular ol’ modern metal sound that’s comparable to Avenged Sevenfold. Just as Avenged Sevenfold’s M. Shadows moved away from the awful screaming metalcore style of “singing”, Andy seems to be doing the same as well. He still screams but it’s not as abrasive as before and certainly sounds in place on Billy Idol’s “Rebel Yell” and KISS’ “Unholy”. Yes, the ’80s influence is coming through even more. “Coffin” itself is a good song and stands up to the best from STWOF but if “fun” is what BVB is going for these days — then they’ve far beyond exceeded that with their covers of “Rebel Yell” (Zakk Wylde guests on this one) and “Unholy”. Their versions are great. A very powerful, heavy sound has been given to both and this especially suits “Unholy”. I am very interested in seeing what is coming on the next album. I have a feeling that just like Avenged Sevenfold once these guys further break away from metalcore, they’re going to be one of the great modern metal bands. Hollywood, CA’s Black Veil Brides are among the current crop of Hot Topic darlings and while there are a few screamo moments on this disc, the band has much more in common with ’80s metal than some might realize. The cool thing is the band doesn’t try to hide their influences. They cite Motley Crue & KISS as big influences (which is obvious based on image alone) but have also stated Def Leppard’s Hysteria was the inspiration for the recording & production process of this album. Surprisingly, BVB is made up of some good talent. Pitts & Jinxx are a very good guitar duo and have no problem playing fast & furious while firing off solos. 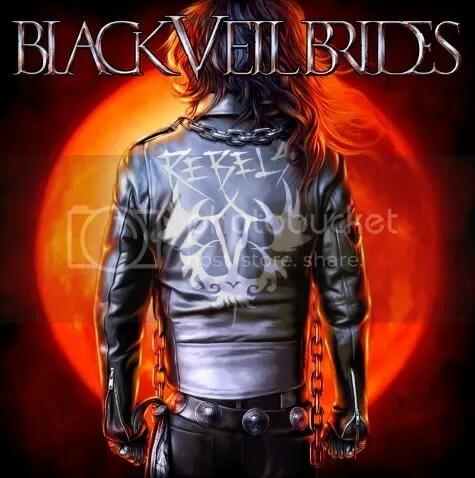 Vocalist Andy Biersack can growl and scream with the best (worst) of the current trendy metal crowd but the guy can actually sing too and that’s when this album is at its best. Thankfully, the screaming is kept to a minimum on Set The World On Fire and the band doesn’t come across as the cliched angry, disenfranchised or depressed youths like so many other bands from the metalcore movement. With elements of glam metal, speed metal, power metal & metalcore, the Brides bring what I would call extreme glam metal to the masses. Their look and sound is heavy and unique enough to interest the wrist-cutters but there’s enough of an ’80s metal influence (featuring catchy choruses and slick production values and even a power ballad thrown in) to grab the ear of those that are fans of the Age of Aqua Net. By the way, my copy of the album came with a mini fold-out poster of Jake Pitts. How cute.